Say hello to Chrisann, this week’s SCOTW. A Viper sailor from Arizona Yacht Club, who now sails out of Texas (yes, she’s crazy). 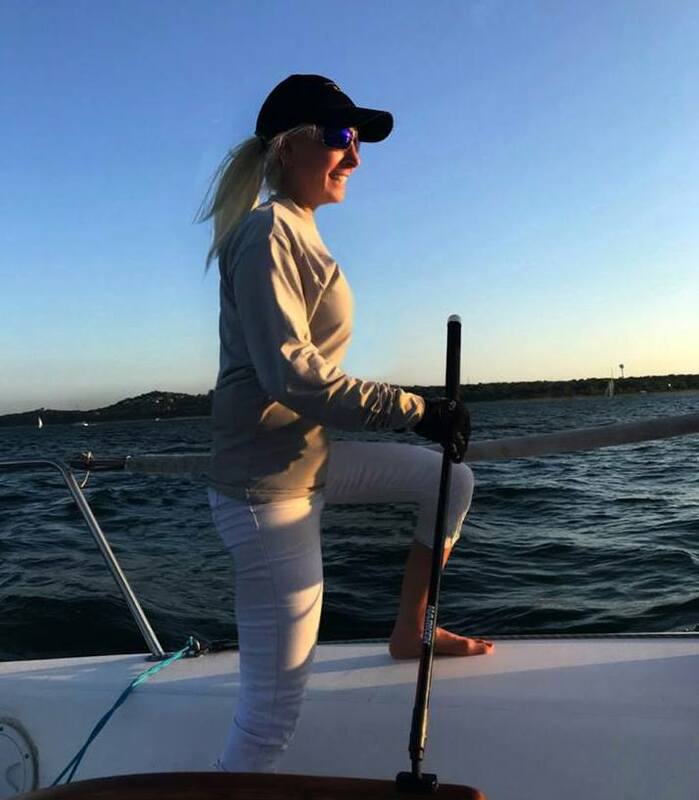 What we dig about her is she is one of the rank and file sailors with unbounded love for our sport. And pretty easy on the eyes. Sayin’. However, we are sad to report that her sailing is about to take a huge step backwards as during a future trip to Cali, she is going to be yet another victim of the Anarchy curse, this time on A4. She’ll never be the same!